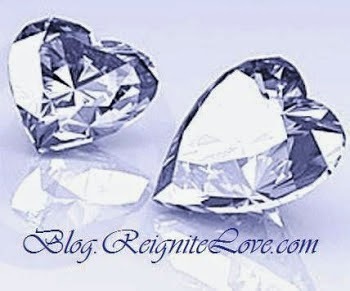 Reignite Love Dating Tips & Strategies: The Halo Effect - Science of Attraction: Look Deeper!! The positive body language and enthusiasistic tone of speaking had a big impact on the first group of women who became more positive towards him and to the possibility of a date with him. They were able to overlook other aspects that they thought were negative about the man due to the halo effect. So how could you use this halo effect to help you in your dating life and relationships? or salvage the wheat from the chaff eg. be able to recognise a good friend and not 'toss them away' just because they don't 'sound or brim' with enthusiasm and extroversion! This video also demonstrates that we should look beyond the superficial and refrain from being too judgemental when you first meet or hear someone digitally, especially if you haven't really had a chance to meet them in person or to get to know them better... because... they could be quite different in real life from the image they projected on their dating 'resume' whether wittingly or unwittingly!! In other words don't dismiss someone too hastily based on superficial 'guidelines' or judgement because they could be quite suitable as your dating or relationship partner! Being able to pick the right person is as important as being able to AVOID the wrong person. Social skills such as this require practice, and the 'halo effect' is just one more tool in your dating tips arsenal to help you hone the skills that will stack the odds in your favour to succeed in your dating aspirations. Dating Tip: Sieve for the Uncut Diamond and don't get bedazzled by Fool's Gold*! *Geology 101: Fool's gold is a yellow rock that looks like gold but is NOT gold and has no value as a precious metal. Diamonds in their natural state don't scintillate at all the way you see them in shops! They sparkle only after being discovered, cut and polished!